The Faculty of Technology was established in Zvornik in the academic year 1993/94. The Faculty constantly improves the curriculum in order to increase efficiency of studying, adopting the latest scientific knowledge, and following the needs of the economy. Teaching process is carried out in modern laboratories on three study cycles. The teaching process is aligned with the concept of the Bologna Declaration and the recommendations of the European Federation of Chemical Engineering (EFCE). The Faculty of Technology has been successfully implementing a large number of development and research projects, as well as a number of international and projects contracted with the economy. The Faculty won a special award of the Chamber of Commerce of Republic of Srpska as the most successful higher education institution in the field of cooperation with the economy in 2012, and the Ministry of Science and Technology as the best scientific research institutions in Republic of Srpska in 2013. 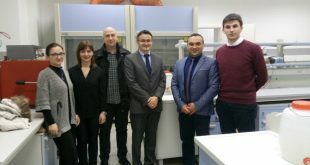 The Faculty of Technology successfully organizes the International Congress "Engineering, Ecology and Materials in Process Industry", which is held every two years, where presenters are renowned researchers and scientists from the country and the world. The Faculty of Technology publishes categorized scientific journal "Journal of Engineering and Processing Management" with works published by authors from the country and abroad. Student representative body is the "Student Association of the Faculty of Technology in Zvornik."